This is an easy mystery cache aimed to get families out Geocaching together! Enjoy the puzzle (maybe small children need the parents to figure it out) and then go and see what surprise is waiting for you! Use this song to answer the questions below. You may also need help from Wikipedia or download this document (easier). B) What is the town where Fireman Sam is based? C) What phrase does Fireman Sam often use? 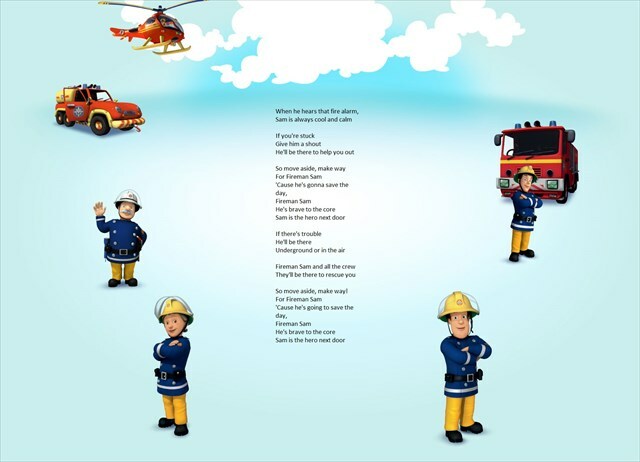 F) Who is Fireman Sam's apprentice? G) How many times does "Sam" appear in the song? H) "Alarm, Calm... Shout, Out... Way, Day... Core, Door... There, Air... Crew, You..." rhyme with each other, which of those (4 words) appear twice in the song? Add the letters up for each answer separately. Then go to the given coordinates and retrieve the missing numbers (?) for the following equation. You find the missing numbers at the given coordinates. Bevtvany irefvba: Oyhr vf Abegu, Erq vf Rnfg. Rnfvre irefvba: Erq vf Abegu, Oyhr vf Rnfg.